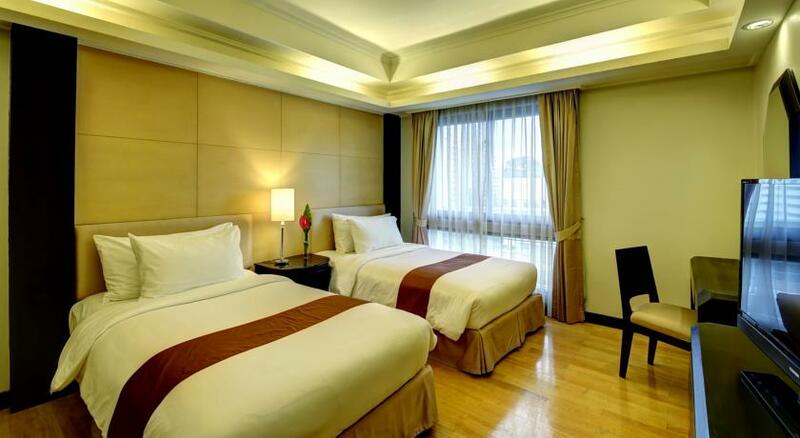 With its central location, a 5 minutes walk to Ploenchit BTS and reasonable prices, Chateau De Bangkok Hotel is popular among avid travellers looking for a budget-friendly accommodation. 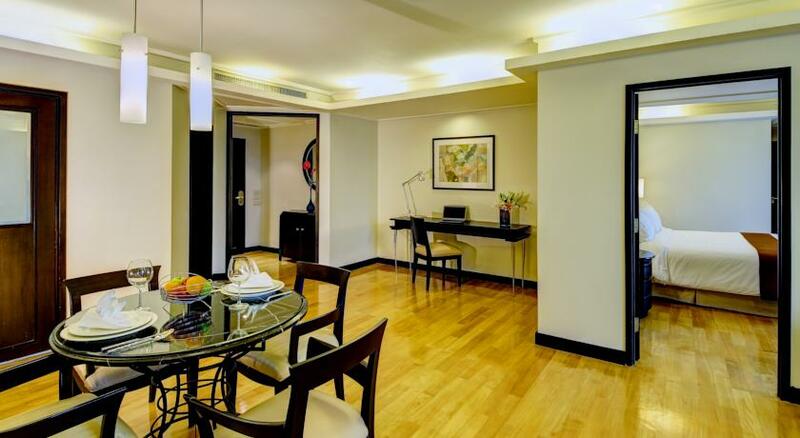 Spacious one-bedroom suites along with friendly service by the staff will make you feel at home. The gym is perfect for a workout while the pool is inviting enough for a refreshing dip. 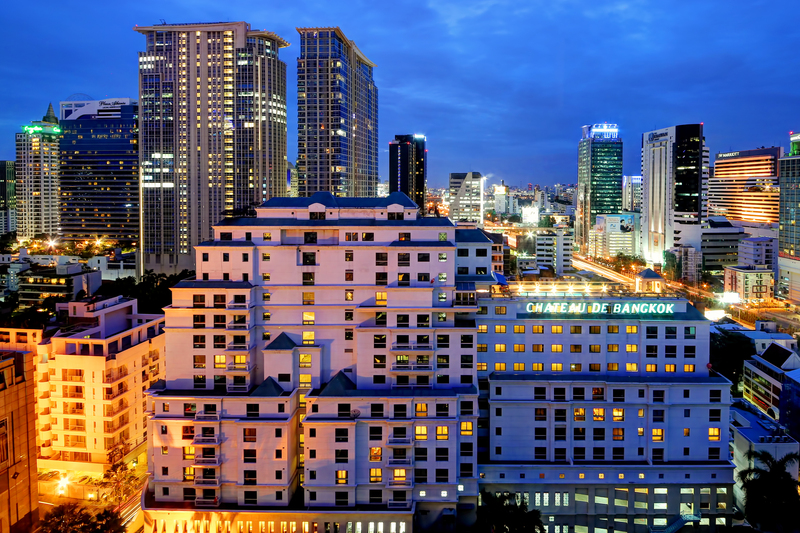 The Chateau De Bangkok, a 4-star luxury hotel, is located on Ploenchit road in the heart of Bangkok. The hotel has 15 storeys and is well furnished with all the essential amenities and facilities required to make any travellers stay luxurious. Chateau De Bangkok was built in the early 90s and has been recently renovated and incorporated with Thai themed architecture. The hotel is great for families, couples and honeymooners alike. All the public transportation services including Phloen Chit BTS Station and Nana BTS Station can be reached within 10 minutes by walk from the hotel. It is just a half an hour drive to Don Mueang International Airport and Suvarnabhumi International Airport. 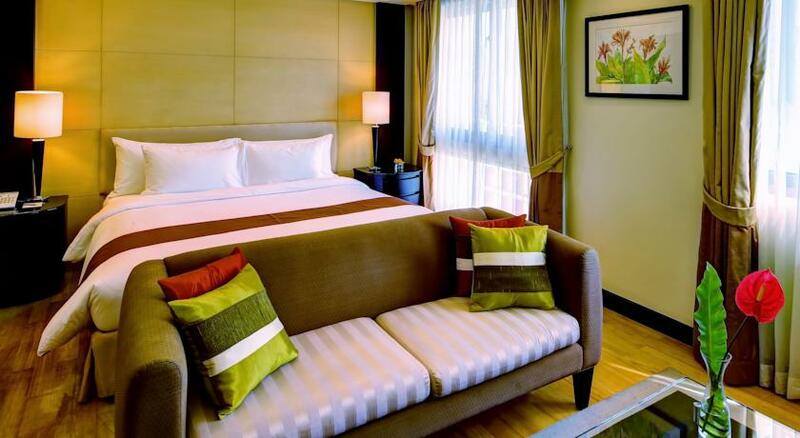 The guest rooms of this hotel have a contemporary ambience with modern furniture and fixtures. All the rooms and suites are fully air-conditioned with a number of unique facilities like coffee/tea maker, free wireless connectivity, mini bar, kitchenette, in-room safe boxes, and a refrigerator. The accommodation features vast luxurious bathrooms with many modern amenities like whirlpool bathtub, basic toiletries, bathrobes, and hairdryer. The Superior Studio is the most basic accommodation of the hotel offering just the required amount of utility for a comfortable nights rest. The Executive Studio features a jacuzzi offering a relaxing experience. The Superior One-Bedroom Suite is an improved version of Superior Studio with a living area and a separate bedroom area. 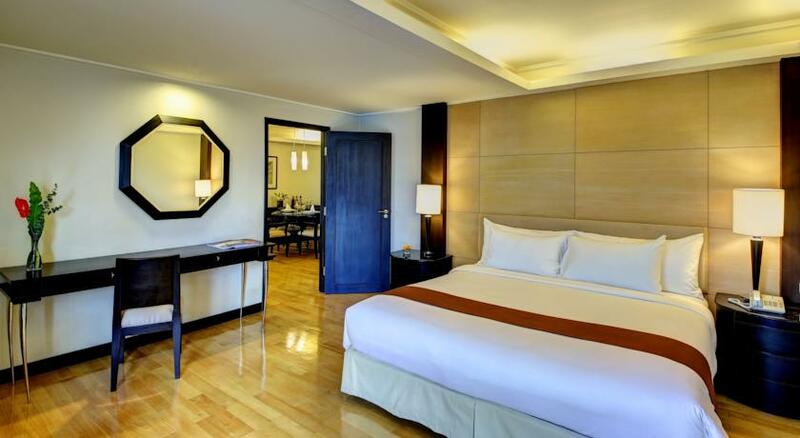 Executive One-Bedroom Suite features a separate living and bedroom area with executive class services and facilities. Executive Two-Bedroom Suite is the most spacious accommodation of Chateau De Bangkok offering the best possible features. Chateau De Bangkok houses its very own spa centre, Jouvence Wellness & Spa that offers a variety of rejuvenating massage therapy options. Visitors can indulge themselves in the various beauty or spa treatments to refresh and replenish their mind, body and soul and feel a sense of calm composure. This hotel features an outdoor swimming pool at the open terrace where the patrons can unwind and bask under the sun while enjoying the refreshments offered in the form of beverages and appetizers. Being located on the topmost floor of the hotel, this area offers a brilliant top view of the amazing city. A group of professional fitness trainers are appointed in the hotels Fitness Centre, who can be approached for any fitness related training and information. The meeting room of the hotel can be accessed by any guest for any form of official gathering. One restaurant, a cafe and two bars are housed by Chateau De Bangkok. The Ki-Shin Japanese Cuisine Restaurant is run by highly acclaimed chefs who offer delicious authentic Japanese cuisine dishes. Cafe Gourmand is located near the hotels lobby and is the perfect place to grab a quick breakfast before setting out on a day full of exploration. It offers the most flavoursome cakes, pastries and freshly brewed tea and coffee. 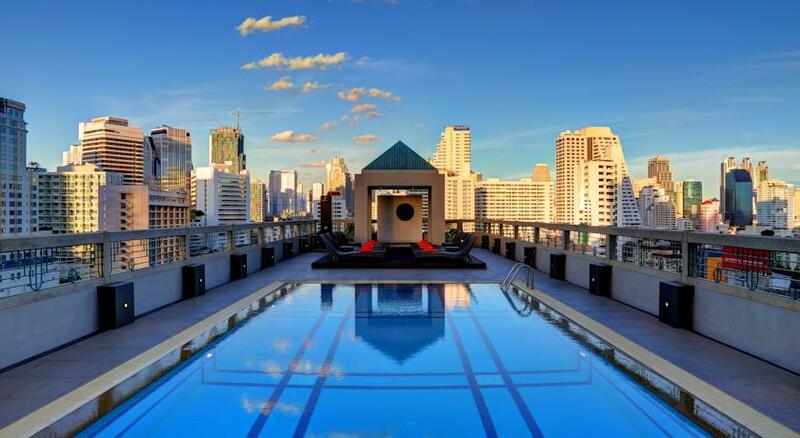 The Panorama Bar lives up to its name by offering splendid panoramic views of Bangkok city. Any private social gatherings can be hosted in this area. The Pool Bar is located on the top floor alongside the hotels outdoor swimming pool. It serves a variety of cocktails, mocktails and other cold drinks. The best feature of this hotel is its swimming pool on the topmost floor which forms a perfect place for a leisure time with family and friends. Every facility which is required for a good stay during a vacation is offered by Chateau De Bangkok making the guests come back again and again for more. Is there a yoga room in Chateau De Bangkok? Yes, there is a separate room allocated for the guests who want to practice yoga. Is there a smoking area inside the hotel? Yes, special areas have been designated for smoking. What are the facilities available for the kids? Babysitting service is provided at Chateau De Bangkok Hotel, apart from this there is a Kids Club which offers a lot of fun-filled activities to keep the young guests entertained. 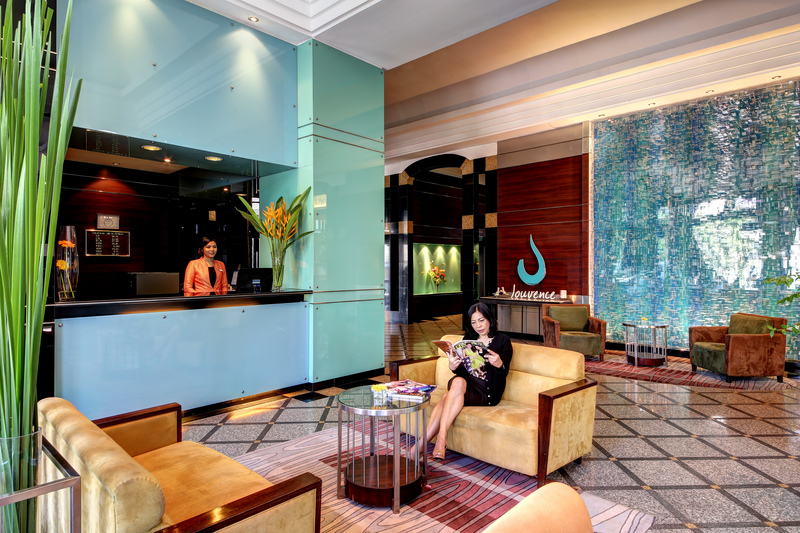 What are the check-in and check-out timings of the Chateau De Bangkok Hotel? Visitors can check-in any time of the day and can check-out until 12:00 PM. Express check-in and check-out facility are also available. Is there a space for parking the guests car? Free on-site private parking facility is available at the hotel. Visitors find Chateau De Bangkok Hotel the ideal place for an excellent stay as it perfectly blends the stylish and modern city living with home-like comfort. 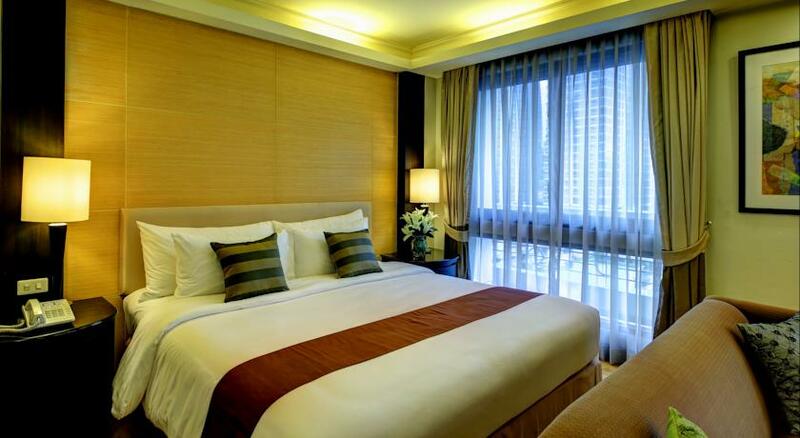 There are numerous dining and exploration options for the guests of this hotel as it is centrally located in Bangkok. There are two BTS stations nearby which can be used for travelling to other places in the city. Being located near the business centre, it is swarmed with business executives and it offers many amenities like the meeting rooms and conference rooms where any official gatherings can be held. 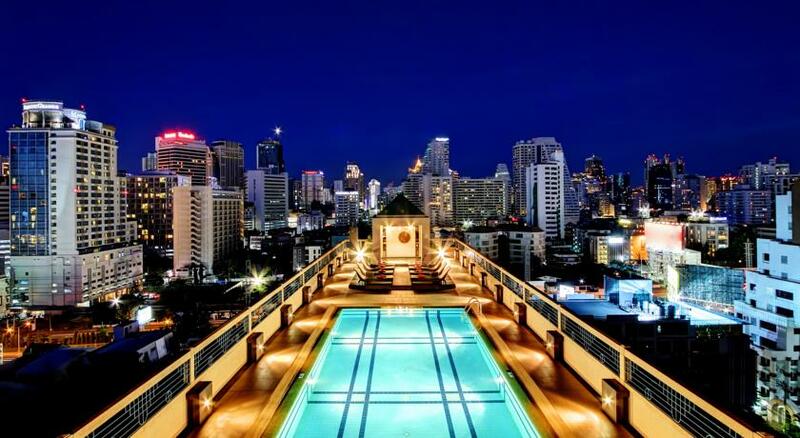 The outdoor swimming pool at the terrace offers open-air free viewing of the lovely city of Bangkok. May it be a business trip or a family leisure trip or a fun-filled adventurous trip with friends, Chateau De Bangkok is the best option for any kind of travellers looking for a comfortable and luxurious stay.